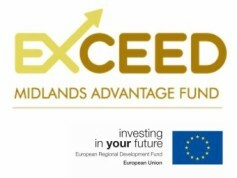 The UK Innovation & Science Seed Fund is independently managed by the venture capital firm Midven. Midven works with entrepreneurs to build strong and successful companies giving them the support they need through mentoring, resources and connections. With their considerable experience, expertise and hands-on approach, they add value and help companies achieve their ambitions. Empowering Entrepreneurs to Achieve: Each business is different and Midven invests the time, effort and resources to understand each company and works in partnership to drive a growth strategy that creates value. Building Successful Businesses: Being an owner managed business themselves, Midven understands the daily challenges of operating and growing a successful business and its experienced team can make a real difference with its broad range of operational and strategic skills. 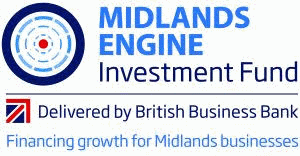 Growing with Investment: Midven has the ability and willingness to be a long term funding partner and support businesses through multiple funding rounds. Midven also currently manages a range of funds representing a total of £110.00m under management. Another major and long-standing fund, HSBC is now closed. Each of the funds have specific investment criteria but share the commonality of all being focused on early stage and SME businesses. DISCLAIMER: Midven Limited provides a mentoring service to businesses and can assist in fund raising and areas of business development. Midven does not provide investment advice to retail clients as defined in the Financial Conduct Authority Handbook COBS3.4. Retail clients must seek independent legal and financial advice before employing the services of Midven Limited.